I don’t know how many days there are left before Christmas – I just know there’s not that many and I need to get going on my shopping. Our older kids are now teenagers, which means they’re a whole lot harder to shop for now, so I’ve spent some time searching out the best gift ideas for teens. These gifts are pretty cool, as well as being fairly inexpensive (many are under $20 and there’s nothing over $60), so you and I might be able to make our teens happy this holiday season without breaking the bank. Check out my other tried & true gift guides: best gifts for boys, best gifts for girls, best gifts for kids & tweens, best family games, best experience gifts. Please note all links in this post are affiliate links to Amazon, where I do almost all of my Christmas shopping because it’s hard to beat the prices or the convenience. PS – if you don’t have Prime yet, you might want to get it now! That free 2-day shipping is a life saver for last minute purchases. 1. Teens love clothes but it can be hard to pick things out for them. 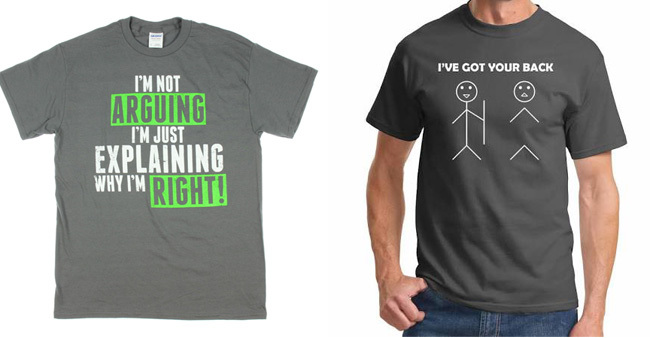 However, you can be pretty sure they’ll love a funny graphic tee, $10 or this stick figure one. 2. Portable jam speaker, $26. Up to 4 hours of wireless bluetooth play means your teenager can listen to music anytime, anywhere. 3. Leatherman Multi Tool, $28. These combination pocket knife and gadgets are popular with teens who like the opportunity to pull out whichever handy tool is needed to save the day. 4. A favorite TV show or movie on DVD is always a great gift. My teens’ favorite current show is Studio C, $18, a college sketch comedy show that’s become hugely popular on Youtube. Bonus: the content is family friendly but clever enough that it doesn’t feel like a kid show. 5. Gift cards. Everyone likes money, right? Teens especially enjoy the chance to choose their own gifts, and gift cards make a great stocking stuffer or last minute gift. Don’t forget gift cards to favorite fast food joints! 6. Mini projector, $58. This nifty little projector can be used to project a video game, movie, youtube clips and more up onto a wall or screen. Perfect for when friends get together. 7. Bean bag chair, $40-$60 depending on color. Lightweight and extremely comfortable, this large beanbag chair is perfect for lounging and can be molded into just about any shape. Is there anything teens like more than lounging? 8. Slammo, $38. This game is so much fun! It’s a twist on volleyball that involves bouncing the ball back and forth on a circular net. It’s fun to play and fun to watch and a great way to get teens to put down their phones! 9. Touchscreen gloves, $8. Super cute and functional, these touchscreen gloves don’t have to be taken off in order to use a smartphone. 10. A new bag, like this graphic tote, $19, or this vintage laptop rucksack, $35, will be especially appreciated by older teens who are always on the go. 11. Superheroes aren’t just for little kids! Teens will love a superhero graphic tee ($11), cool minimalist avengers poster ($4), or graphic calendar ($14) and you’ll love the price point of these gift ideas. 12. Make sure your teenager never has an excuse to ignore your texts with this portable phone charger, $10. 13. 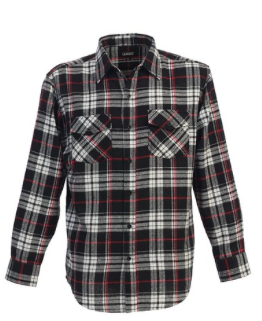 Plaid is super trendy right now, making it a great gift. Try a gorgeous plaid blanket scarf, $18, for your teenage girl or a relaxed plaid flannel button down, $28, for your teen boy. 14. Help your teen get insta-worthy photos with this macro and wide angle lens that clips right onto her phone, $25. 15. Teens love to accessorize, making this pretty leather wrap bracelet, $14, a great gift at a great price. 16. Choose a gift for your teen’s room based on whatever he or she enjoys. Just search your teen’s hobby or favorite thing and you’ll find something fun, like a Dr. Who pillowcase, $9, or a Steve Jobs quote poster, $18. 17. Find a how-to book for something your teen would love to learn. Try this fashion sketchpad for your budding designer, $14, or this how to shoot video book, $8, for your teenage cinematographer. 18. Kindle Fire, $50. A table for reading, surfing, watching movies, listening to music, and more for the cost of one video game? Sounds good to me. If your teen is a big reader, consider a subscription to Kindle Unlimited ($10/mo) to give her access to a (nearly) unlimited library of books. 19. Fuzzy animal socks, $15. Nothin’ more to say. 20. Sometimes the very best thing you can give a teenager isn’t a thing at all – it’s an experience. A special activity, a trip, a chance to learn something new, tickets for him and a friend to go to a concert or game, etc. Check out this post for 72 ideas of “experience” gifts. Have some great teen gift ideas of your own? Leave them in the comments! these are great ideas! I strongly second the “experience” last year bought concert tickets for myself and my 14 yr old daughter as her main present and we had a blast together. Another idea is season pass to a local amusement/water park for the nest year. That was a life saver for me this past summer. Thank you so much for this list! Amazing finds! What a great list! Lots of fun stuff I haven’t seen. Thanks!!!! 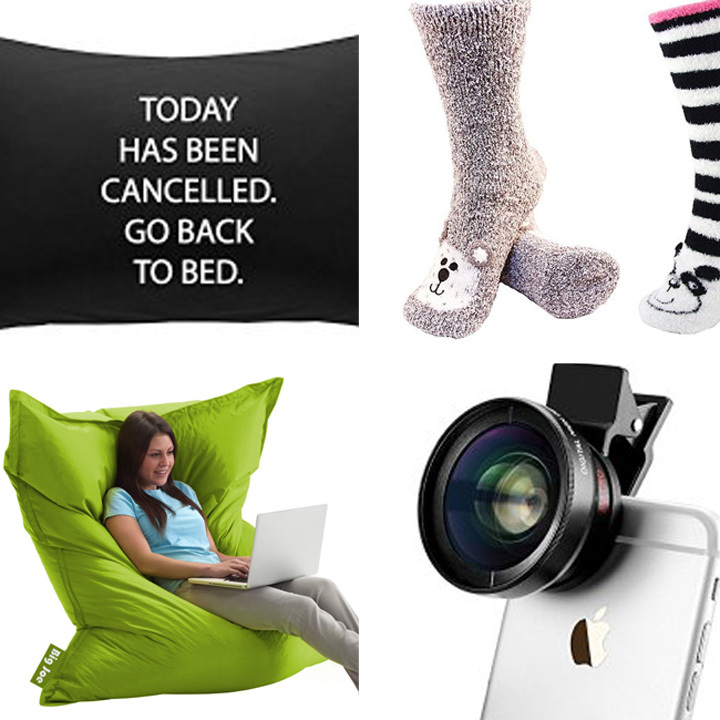 Epic and relevant gift ideas for teens! You’ve really covered everything! (And to all reading, take the time to click and read the Experiences, so many great and unique ideas!) Love the ‘city pass’ idea! Thanks for this list! I had no idea what to get teenaged nieces and nephew…plus got the Tardis pillowcase for one grandson’s birthday, and it was the hit of the party!! I’m 13, and the kindle subscription would totally work for me! you obviously have teens because several of these are spot on! From one mother to another, Thank-You!! Excellent ideas!!! Thank you for pointing me in the right direction to finish up the last of my loose ends this year. Thanks for this post! I found three great gifts for my goddaughter. ??? Send best birthday gifts for boys online anywhere in india from myfragrance. Order unique birthday gifts for men from best gift ideas for gents through quick home delivery.